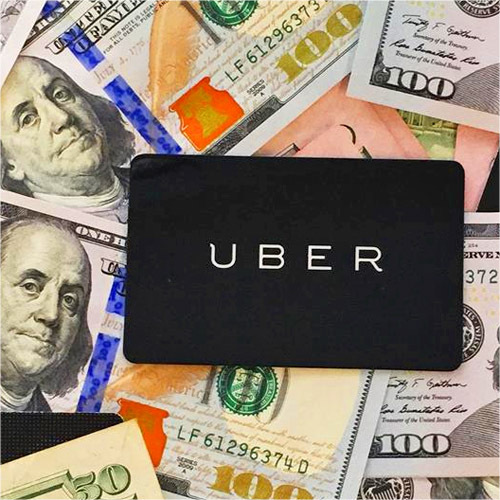 AUSTIN, Texas (CN) — Texas Governor Greg Abbott signed into law Monday a bill that usurps local rideshare regulations, allowing Uber and Lyft to return to Austin and other Texas cities they had exited. “Today I signed a law to overturn the City of Austin’s regulation that trampled freedom & free enterprise,” Abbott tweeted when he signed House Bill 100 on Monday. HB 100 gives the state the power to regulate rideshare companies, also called transportation network companies, or TNCs. The bill calls for an occupational permit and also authorizes an annual fee. The bill requires a TNC like Uber and Lyft to conduct annual criminal background checks on its drivers, but it does not have a fingerprint requirement that Austin mandated. The law took effect immediately upon Abbott’s signing, meaning Uber and Lyft could reboot their operations in Austin on Memorial Day. On Monday, Lyft sent emails to customers announcing it was once again operating in Austin. “Lyft is back in Austin. Reliable, affordable rides have returned to Austin. Whether you’re headed to Zilker Park, Rainey Street, or the airport, we’ve got your ride,” the message said. Both Uber and Lyft left Austin a year ago over a dispute centered on the city’s mandatory fingerprint-based background checks. Uber and Lyft claimed Austin’s background checks were no better than their own name-based background checks for drivers. Austin voters rejected an ordinance, called Proposition 1, which would have repealed the city’s TNC regulations. The ordinance failed despite millions of dollars spent by Ridesharing Works for Austin, a political action committee funded by Uber and Lyft in support of Prop 1. The departures of Uber and Lyft led to a plethora of new rideshare companies operating in Austin. These TNCs agreed to implement the city’s fingerprint requirement for drivers. RideAustin, a local nonprofit TNC, provided 2 million trips in its first year of operation. RideAustin never took issue with the city’s fingerprint requirements. “We’ve always put the safety of our riders at the top of priorities, every driver is finger print verified,” the company said in a tweet.